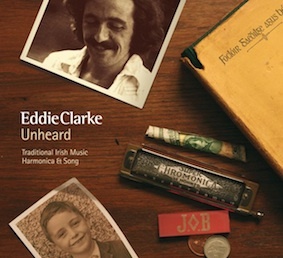 Following Eddie’s untimely death, we present this is a four-CD collection of recordings of Ireland’s greatest exponent of traditional music played on the harmonica. He was also an accomplished traditional singer. Originally on cassette tape, these are home recordings, practice tapes and session recordings carefully selected and re-mastered under the direction of Antóin Mac Gabhann. Eddie Clarke (1945-2004) mixed with the greats of the time and amassed a deep understanding of traditional music and song, which you will hear performed with accuracy, respect and great inventiveness. This CD was made available through the Comhaltas Meitheal scheme.